If you are traveling to Italy for an Italian vacation any time soon, then you’ll probably be enjoying doing some research on what to see and do when you are here. During your Italian vacation, it’s not necessary to tip. In some countries like the USA, or on some holidays like cruise vacations you will be expected to tip. But it is not the case on an Italian vacation. In many cases a service charge will already have been added to your bill or incorporated in the price. But a tip is not necessary for things like a coffee, a taxi ride etc. 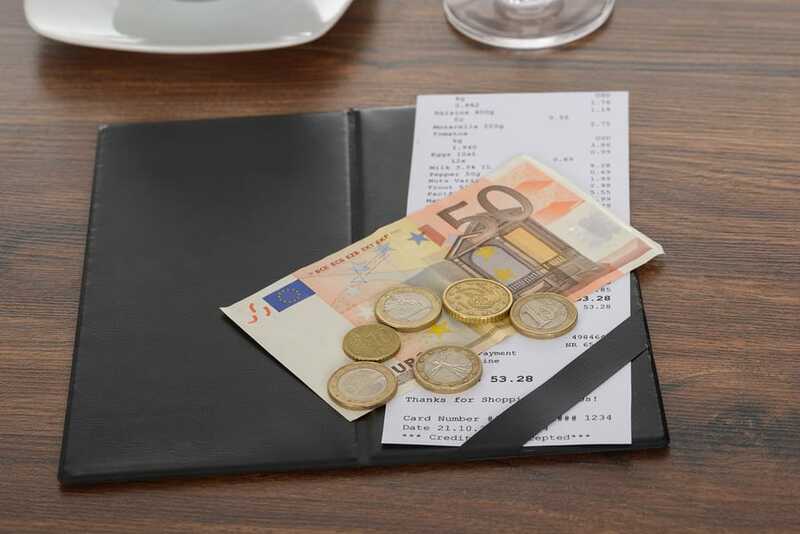 Italians rarely tip and only do so when the service has been really exceptional or when it makes sense to leave the change – ie if you gave the waiter/ess 60 Euros for a 59 Euro bill and you don’t want them to have to come all the way back to your table with change. One of the biggest elements of Italian etiquette is remembering that Italian restaurants and bars are specific about meal times. It is best to understand them and to remember the general rule to eat when Italians eat. Many restaurants close in the afternoon after lunch and before dinner. So if you skip lunch and hope to pick up a late lunch meal or an early dinner then you will be disappointed. The earliest lunches will be available at 12.30 and will run to 2.30pm at the very latest. Dinner can start quite late and some restaurants in the city might not start serving again until 7pm. When it comes to Italian dining etiquette, visitors need to remember that the service culture in Italy is quite different. In some countries the waiting staff will come back to your table to check you are ok and that you are enjoying your meal. In Italy, it can be quite different, particularly in busy cities because the waiting staff will be there to take your order and serve your food and you may not see them otherwise. They are polite and efficient and fast but they won’t be back and forward to check on you. That may explain the first point about tips. Smaller establishments in the countryside can be a little different and can be more attentive during your course but it depends on the people themselves and this would be the exception to the rule. Another important point about Italian dining etiquette is that it is best to be formal in restaurants in Italy. Whilst some western cultures are quite relaxed in such a setting, Italy is different. You need to be mindful of your table manners. For instance, to get your waiter or waitress’s attention do not shout across the room at them or click your fingers. When you are ready to receive the bill or check, ask for it by saying ‘il conto’. A waiter or waitress will not bring it to you automatically unless it is well past closing time. When in a restaurant, wine and beer is consumed as part of your meal. Italians really do not approve of public drunken-ness and you will notice that it is very rare in Italy. And when it comes to coffee – other than at breakfast, coffee is used to aid digestion so at lunch and dinner it is served after a meal, not with a meal. When you are in a bar or restaurant you will notice that there are different levels of service. You can sit at a table to get table service but you can also stand at the bar and eat. There are different prices for each type of service. And in some restaurants you sometimes you need to pick up a receipt before hand. If you are in doubt, stand to the side and watch what others are doing then choose what you want to do. Or you can ask by saying ‘scusi, si paga o si ordina prima- do I pay before ordering?’ And always greet the staff or proprietor with a good morning or good evening ‘buongiorno’ or ‘buonasera’. To really excel at Italian etiquette then learn some Italian before you visit. You don’t need to be fluent before you visit but it will help you immensely if you make an effort with the mother tongue. Try to understand the basics so you can greet people and perhaps order and thank people in Italian. Don’t just speak English and add a ‘grazie’ at the end because this is not enough and at worse may seem patronising. The locals will really appreciate your efforts when you try. And when you are using Italian, remember to use the correct salutations. This is really important if you want to get your Italian manners right. We’ve probably all heard people shout ‘Ciao’ in the movies, but remember this is not appropriate if you do not know the other person well. As mentioned above it’s best to use ‘buongiorno’ or ‘buonasera’. Also shake hands with a person you don’t know. Kissing on the cheeks only happens when people know each other relatively well. In Italian etiquette, remember that Italians view you as a guest and it’s true that they prefer it when you behave with grace as a guest would. Tourism is important in Italy but Italian life continues regardless. Italian culture expects everyone to dress appropriately. For instance, dress smartly for dinner and don’t dress for the beach when you are in the city. The best rule is to be smart but not overly smart. Dressing appropriately in churches – of which there are many in Italy – is also very important, this is particularly the case in the Vatican where you will need to wear long trousers and long sleeves – otherwise you will have to purchase one of the cloaks on sale. As mentioned above, there are lots of churches in Italy. You will probably go into a few when you are on your Italian holidays because they are full of art, beautiful architecture and fascinating history. But remember that they are churches and important places of worship to locals – not just a tourist attraction. So don’t eat when inside, don’t drink water and remember to be quiet. And always avoid exploring a church if there is a private service on-going at the time. 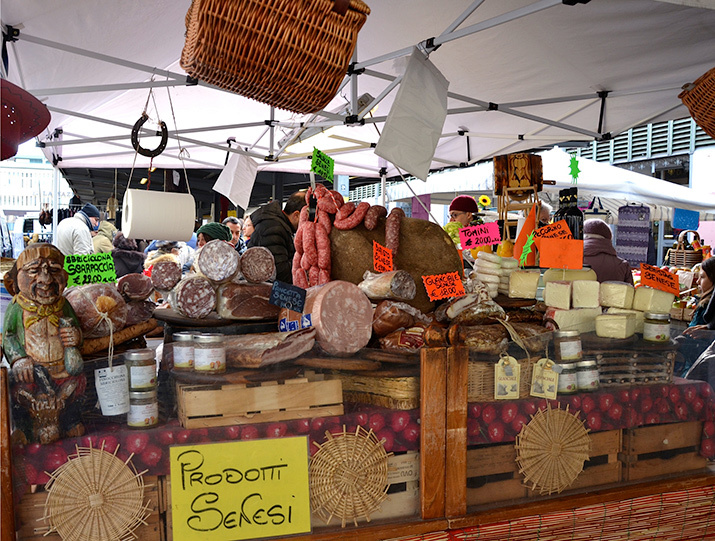 In Italian culture, it is important to remember that when you are in a shop or at a market stall it is frowned upon to touch the produce. If you are buying fruit, you will notice that there are plastic gloves to use when you pick your fruit. In a shop, don’t handle the items – even in a clothes shop. Ask the staff what you want to see. This is very different to the US or UK where you can search through a railing of clothes yourself. Be organised and carry small change for small purchases, as some establishments may not be able to give change from a large note. And always check if an establishment can take a credit card, as it is not always the case that they can do this. To get your Italian etiquette right, try to avoid comparing one city to another when you are speaking with Italians. Also be aware of history and the fact that although you are still in Italy, there can still be historical rivalry between regions or places. Always steer clear of mentioning the war and Italy’s role in the war. You need to buy your transport tickets before you board to avoid being ejected! And you also need to remember that there may not always be a ticket machine at the stop you are using so you need to buy these at a newspaper stand or a tobacco shop. And when it comes to traveling on a Sunday you always need to buy your tickets the day before. And when you get on the tram or bus, validate your ticket in the machine that will stamp the time and date on it. This is important as otherwise you could be fined. Following these tips on Italian etiquette will keep you on the right side of Italian etiquette. As with any country, there are specific cultural differences and expectations to remember. If you are planning your Italian vacation, we would love to help. At Avventure Bellissime – we are Italian tours and Italian holiday experts. We can help you have the best possible experience of Italy – whether it’s on one of our tours to Italy’s many sights or a vacation package. Visit us at tours-italy.com for more information. 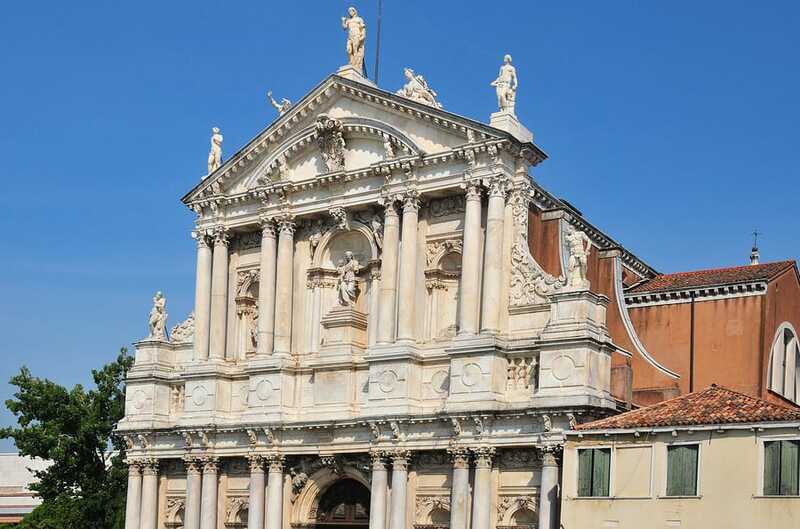 Our Venice in 1 Day Tour combines a city walking tour of Venice with a sightseeing boat tour of Venice so that you enjoy the best value!